of Identity Theft for just $49.99/year. Register your family with ReclaimMyID before an identity theft event occurs. When an Identity Theft event is reported, a Personal Certified Recovery Expert is assigned to work one on one with you. Your Personal Certified Recovery Expert will ensure that your identity is restored 100% to its Pre-Identity Theft status. Once your identity is restored, active members will receive one year of free credit monitoring. Identity Theft cannot be prevented, even with monitoring, because you cannot catch a crime before it happens. The only only thing you can control is how your identity is recovered. On your own, Identity Theft recovery can take up to one year and hundreds of valuable hours. A complete damage assessment is conducted for each suspected identity theft report. A plan is then created to recover your identity. When a member of ReclaimMyID reports a suspected identity theft event, our Recovery Advocates conduct a thorough assessment of their unique situation to determine if a true form of identity theft has occurred and evaluates the level of damage and/or risk involved. The Recovery Advocates will guide and advise the member on how to take the necessary precautionary steps to protect themselves against a future threat. If a true form of identity theft is found, the Recovery Advocates will collect the necessary detailed information and documents to open a recovery case file and begin more extensive resolution activities with a certified Recovery Expert. A personal certified Recovery Expert handles everything reasonably necessary to restore a members’ identity to pre-theft status. Once the “Identity Assessment” determines more extensive resolution activities are required, a recovery case file is opened and the ReclaimMyID member is assigned a “Certified Identity Theft Risk Management Specialist” Recovery Expert for personal one on one service. The personal certified Recovery Expert handles everything reasonably necessary to restore the members’ identity to pre-theft status. The certified Recovery Expert works on behalf of the member, using a limited power of attorney, with all agencies and businesses where fraudulent activity has been detected to reverse the damage done by identity thieves. The certified Recovery Expert will handle the removal of any criminal or civil judgments wrongfully entered against you as a result of a stolen identity. The certified Recovery Expert won’t stop until the members’ identity is restored to its pre-theft status and no limit is placed on the time it takes to resolve a recovery case. An LPOA may be required to grant our Recovery Experts the authority to work on a members’ behalf to fully manage the recovery. ReclaimMyID is a fully managed identity recovery service and fights on behalf of it members who may become victims of identity theft. As such any member requiring more extensive recovery services would sign a limited power of attorney, giving the Recovery Expert the authority to work on their behalf with agencies and businesses to reasonably resolve any identity theft issues. These agencies and businesses include, but are not limited to, creditors, banks, lending institutions, criminal agencies, debt collection agencies, medical providers, insurance companies and others. A recovery case file is created once the “Identity Assessment” determines a true form of identity theft has occurred. The case file is maintained as the recovery process progresses through the resolution activities. No limit is placed on the time it takes to resolve a case and once an identity is restored to pre-theft status, the case remains on file for 36 months. In the event any recurring theft activities have to be addressed the case and associated services remain available as long as an active ReclaimMyID membership is maintained. The ReclaimMyID recovery team can provide assistance filing local, state and federal reports, as well as help in determining the appropriate reports to file. Our recovery team can provide instructions on how to file an identity theft police report and identity theft complaints/notifications with federal and state regulatory agencies. This activity typically occurs during the “Identity Assessment” after a suspected identity theft event has been reported. Assistance and guidance on how, and under what circumstances credit freezes or fraud alerts should be placed on a credit file. A credit freeze generally stops all access to your credit report, while a fraud alert permits creditors to get your report as long as they take steps to verify your identity. The ReclaimMyID recovery team can provide assistance and guidance on how, and under what circumstances credit freezes or fraud alerts should be placed on a credit file at all three credit bureaus. While these tools can be utilized at anytime, review will occur during the “Identity Assessment” after a suspected identity theft event has been reported. Review credit files with the members to determine the accuracy of the file and any potential impacts from an identity theft event. The ReclaimMyID recovery team can review the member’s credit files with the member to determine the accuracy of the file and any potential impacts from an identity theft event. This activity typically occurs during the “Identity Assessment” after a suspected identity theft event has been reported. Assistance in the recovery and/or reissuance of “breeder documents,” such as a driver’s license, passport or Social Security card. If you lose your wallet or other sensitive documents, the ReclaimMyID recovery team can help by guiding in the recovery and/or reissuance of “breeder documents,” such as a driver’s license, passport or Social Security card. This activity typically occurs during the “Identity Assessment” after a suspected identity theft event has been reported. After an identity is restored to its pre theft status, 1-year of free monitoring services are provided to active members. When a ReclaimMyID member becomes a victim of identity theft and has their identity restored to pre-breach status, the member will be provided 12 months of FREE credit monitoring as long as an they remain an active ReclaimMyID member. There is incredible value with ReclaimMyID knowing that they would represent me if I had to fight an ID theft case. They are experts in their field and are prepared to quickly solve a breach of ID. I wouldn’t know where to begin if I were on my own. The value in ReclaimMyID is, in my opinion, the sense of security it provides. If that day comes regarding my Identity, your company provides the resources to make me whole again. We have so much going on in our daily lives, the wrench that being a victim of identity theft would throw in my life would be unbearable. It would be a full time job on top of the 60+ hours a week I already work. I have personally seen the effect of ID theft on individuals lives. I have had multiple patients go through the process always starting by themselves. Many of their cases have taken multiple months and even years to solve. Some have had multiple sources steal their ID’s making the case much more complicated. They are all very stressed and miserable from the complication. I’m glad I have coverage with ReclaimMyID. My biggest concern with identity theft is somebody having access to my personal private information that could expose my family, business, and finances. Having ReclaimMyID on my side minimizes my exposure to theft and it is invaluable to me and my family to have this protection. If I didn’t have ReclaimMyID and needed restoration I don’t know where I would turn. I see the true value in having a personal representative fighting my potential identity theft case. They are the only company that know exactly what to do. They will not only yield the results you need, but it will happen in a timely fashion, which is imperative. ReClaimMyid has tremendous value to me because following an identity theft incident, the restoration of my identity gets my credit reputation back in order. I would not legally represent myself in any criminal situation. Why would I treat an identity crime any differently. This needs to be handled by the ReclaimMyID professionals on my behalf. I realize that identity theft is on the rise, and therefore, personal representation is very important. It would give me piece of mind to know that I have someone in my corner should I need them. If I found out I was a victim of identity theft, I would call the ReClaimMyid support team. On average, identity theft recovery takes 6 months and 200 hours of work with an average cost of $1,343. Financial identity theft is the most common form of identity fraud. When people hear the words “identity theft,” they often think of credit card fraud, when thieves use stolen credit cards or card numbers to purchase goods and services. If it’s not detected in time, credit card fraud can max out your accounts and affect your credit rating. There are also other, more potentially serious forms of financial identity theft. Thieves can use stolen bank account numbers, debit card numbers, or other personal and financial information to wipe out your accounts, take out loans, or get new credit cards. MyIDCare’s Recovery Advocates have extensive experience working with financial institutions and credit bureaus to make sure you’re not liable for fraudulent loans and charges made in your name. When someone takes or uses your health insurance, they are committing medical identity theft. Thieves use the insurance themselves or sell it to someone who will pose as you to get healthcare services. Medical identity theft can be deadly because it can introduce false information into your medical file. It can also use up your medical benefits and leave you facing bills for medical treatment you didn’t receive. Recovery from medical identity theft is complicated because of healthcare privacy laws. MyIDCare Recovery Advocates know how to work with medical providers and healthcare insurance companies to repair your medical records, fight false insurance claims and work with you so you won’t be liable to pay for medical bills that aren’t yours. A child or student’s identity is like pure gold to identity thieves. Children tend to have little or no financial history, and thieves assume that no one is checking a child’s credit report. Criminals can use a child’s Social Security Number to falsely claim dependent children or welfare payments from the government, and to create fake ID documents that they can use to apply for loans or even commit crimes. By the time the child is old enough to be financially independent, they may find their credit rating is ruined. MyIDCare Recovery Advocates have the expertise to handle cases involving individuals of any age, including children. Your social security number (SSN) is the key to your financial and personal identity. With your SSN, thieves can access your taxes and work history, bank accounts, credit cards, loans, government benefits such as Medicare and Medicaid, and sometimes your medical records. They can use your SSN to get a loan or a passport, file for your tax return, or claim your retirement benefits. Even if you’re careful with your Social Security card and financial documents, SSNs are one of the most valuable pieces of personal information stolen in data breaches. Our Recovery Advocates can work with government and other institutions on your behalf to undo damage caused by thieves. Criminals have many ways to use a stolen driver’s license or information from a driver’s license. They may alter the picture on a driver’s license and sell it to someone who fits the description on the license, or they may use the number to create a completely fake ID card. If the imposter is caught for a traffic violation, drunk driving or drugrelated charge, the crime goes on your record. When the violator doesn’t show up in court, police will be looking for you. Driver’s licenses are also shown to cash checks, pass domestic airport security, get insurance, and to provide ID for many activities, so an imposter could commit all kinds of crimes that would be traced back to you. MyIDCare works with government agencies on your behalf to undo the damage done by driver’s license identity theft. Employers are now required to see a Social Security card, passport, or other personal document to verify citizenship before hiring someone. People who are not legal U.S. residents or who have a criminal history that would show up in a background check sometimes use fake or stolen IDs to get a job. You might find out about this kind of identity theft when you receive a W-2 from an employer you don’t know or a Social Security statement that doesn’t match your employment history. If the imposter commits crimes on the job, law enforcement could come looking for you. MyIDCare works with the Social Security Administration, other government bureaus, and employers to stop thieves and clear your identity and employment history. In addition to medical identity theft, thieves can use stolen identities to claim other kinds of insurance and benefits. For example, someone using a stolen identity could have an accident (or multiple accidents) and make auto insurance claims. Insurance identity fraud can result in higher premiums, denial of insurance, or legal action if the insurance company discovers the fraud and blames it on you. MyIDCare Recovery Advocates work with insurance payors and law enforcement to fix your insurance and clear you of criminal claims. Thieves can use information from several different people to create a new identity, which they can then use to commit many types of fraud. The person whose phone number is used may end up getting calls from angry creditors, and the person whose address is used may get collections letters or even summons. The person whose Social Security Number or driver’s license number is used can face ruined credit or even criminal charges. MyIDCare Recovery Advocates can manage helping an individual recover from a full or partially stolen identity. According to the United States Department of Justice, the terms identity theft and identity fraud refer to “all types of crime in which someone wrongfully obtains and uses another person’s personal data in some way that involves fraud or deception, typically for economic gain. Can Identity Theft be prevented? The short answer is NO! Even with the most sophisticated of monitoring and protection solutions readily available today, the ability to totally prevent a person’s identity from being stolen just doesn’t exist. 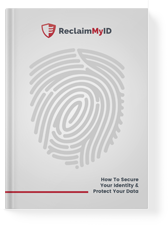 That is why ReclaimMyID is offering identity theft restoration services as a stand-alone product the consumer can purchase before they may become a victim. What is identity theft restoration? Identity theft restoration, also called identity recovery or identity resolution, is a set of activities designed to help consumers regain control of their identity and finances after an identity theft occurs. The goal of these activities is to return a victim's identity to its pre theft status. With identity theft becoming more difficult to proactively detect every day, identity theft restoration has become the single most important aspect of any identity theft service offering one may consider. That is why ReclaimMyID is offering identity theft restoration services as a stand-alone product the consumer can purchase before they may become a victim. Does ReclaimMyID really cost $49.99 a year? Yes! For just $49.99, your entire family will be covered against identity theft for one year. Does it really cover my entire family? Yes! Covered family members include the individual enrollee, their spouse or domestic partner and up to 5 dependents under the age of 18. There are many ways to discover identity theft. Some of the most common alerts: Credit report shows an unfamiliar account or activity, collections agencies calling you for a suspicious issue, suspicious charges to a credit or debit card, unexplainable withdrawals from your bank account, receiving bills for purchases, procedures or services that aren’t yours. Anything that cannot be explained may be a warning sign of identity theft. What if my identity has already been stolen? The intent of ReclaimMyID is to provide coverage so an individual is prepared in the event an identity theft incident occurs. If you are an individual who has already experienced a stolen identity, we can only offer ReclaimMyID services after your identity has been repaired and is incident free for a period of 12 months. At that point in time ReclaimMyID will cover new identity theft incidents. Please contact us, if you have any further questions regarding ReclaimMyID coverage and a pre-existing stolen identity. ©2019 ReclaimMyID. All rights reserved.